A wireless ad hoc network consists of mobile a network which deploys architecture for communication without any fixed-position routers. Mobile Ad-hoc Networks has large number of nodes i.e wide range of nodes connected by each other via wireless links. The network is ad hoc because it does not depend on existing infrastructure, such as routers in wired networks. Data routing in this network is a thought-provoking task due to dynamic network topology and shared error prone environment. Due to the infrastructure less network every mobile node moves freely with the arbitrary direction with no guaranteed path. Due to the mobility of Nodes and lack of server, routing in MANET is very challenge. Therefore a routing protocol is necessary to have an efficient communication between nodes in different network situations which are heavily loaded at some point. This has led to development of many different routing protocols for MANETs, and argues that the scheme of proposed protocol affords an enhancement over a number of different strategies considered in the literature for a given network scenario. Therefore, selecting best one is very difficult to determine under a number of different network scenarios, such as increasing traffic and node density. In this project also provides an overview of different routing protocols proposed in the literature. This project also provides a performance comparison of all routing protocols and suggests which protocols may perform best in large networks. S Baskaran, J Arputha Vijaya Selvi. "Comparison of Trust based Protocols for MANET." 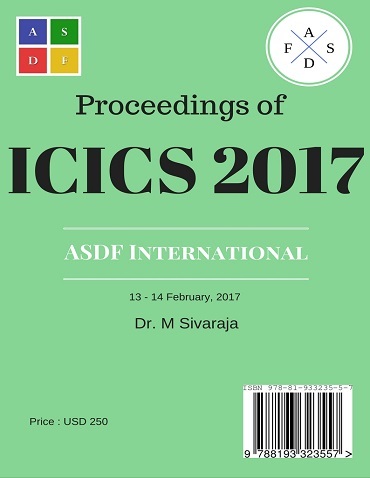 International Conference on Intelligent Computing and Systems (2017): 01. Print.